SAstudy.co.za provides the ideal platform for leading brands to reach the leaders and achievers of tomorrow. Whether your business objectives are to recruit top calibre undergraduates or to build lasting relationships with SA’s aspirational youth, SAstudy.co.za can structure a package to help you achieve these objectives. OUR AUDIENCE IS AWAITING YOUR MESSAGE! We are committed to customizing and tailoring a solution that caters to your campaign and/or brand’s needs. Clients have the opportunity to exclusively sponsor a specific section or component of SAstudy.co.za. SAstudy.co.za offer tertiary institutions the option to profile all aspects of an institution such as their faculties, associations, sport facilities, course offerings etc. SAstudy.co.za is the perfect platform for tertiary institutions to communicate with prospective and current students their latest Student, Institution and Bursary News. We have found that students want options when it comes to their education and we have designed a Course Tool that allows students to filter those options. 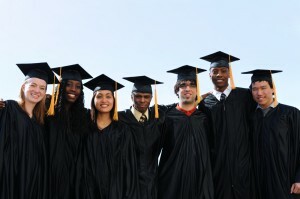 By listing on SAstudy.co.za you solidify yourself as a quality option for the discerning student.